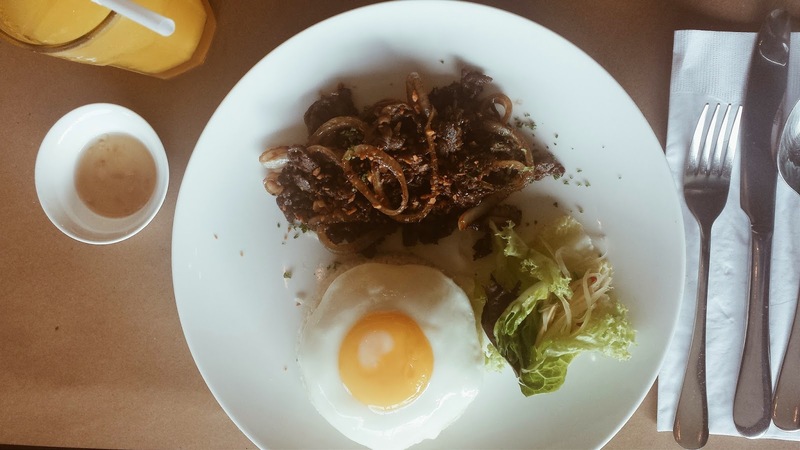 As what Pepper.ph said in their write up about AK Bistro, "The only thing better than breakfast, we think, is one that you don’t have to pay for." I totally agree. Now, there's something better than free breakfast and that's having free breakfast with your bestfriend. Apparently, she also joined the contest and won, too! 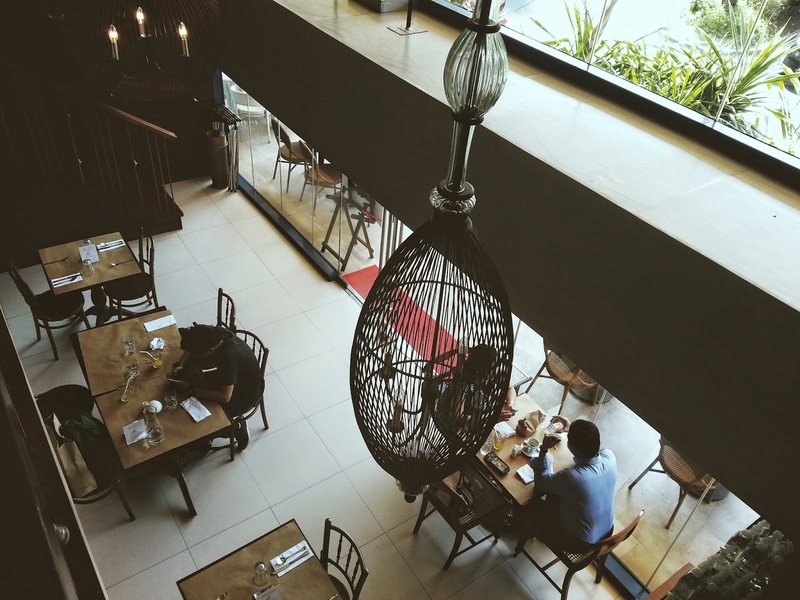 Located in the posh business district of One Rockwell in Makati, this restaurant (from the people behind Angels' Kitchen in Connecticut St., Greenhills) welcomes you with a modern but comfortable and homey ambiance. 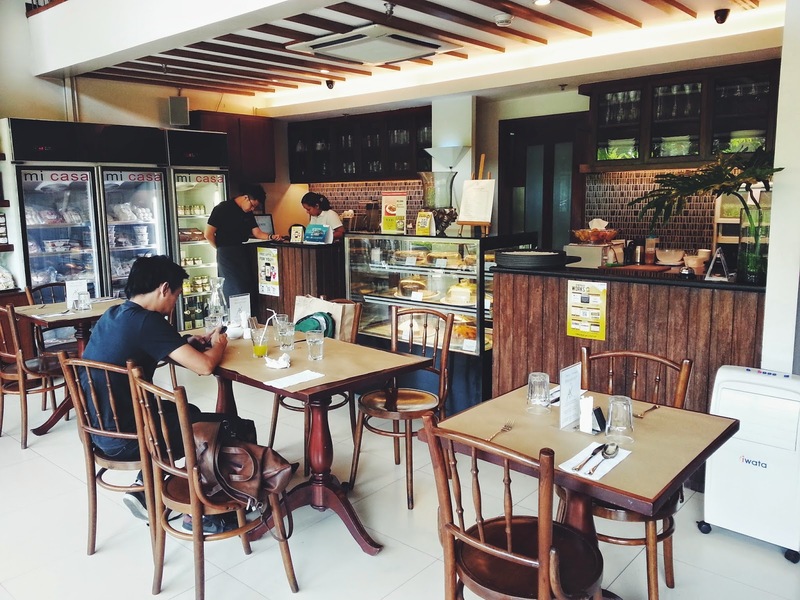 Wooden panels and furniture, and a color palette of brown, beige and white provided that cozy feel to the place. 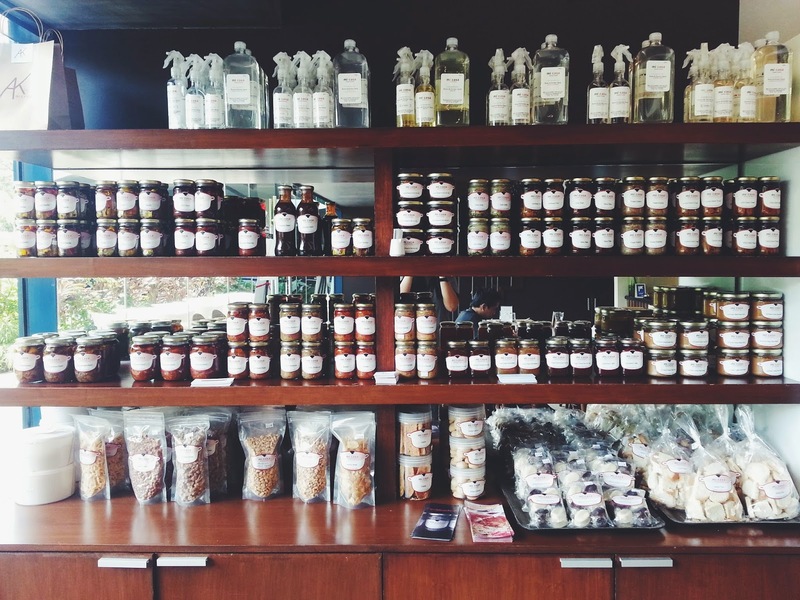 One side showcases their bottled pasta sauces and other baked goodies as well as their famous bottled products such as the lemon garlic tinapa and adobong tuyo. The second level of AK Bistro is even more charming. 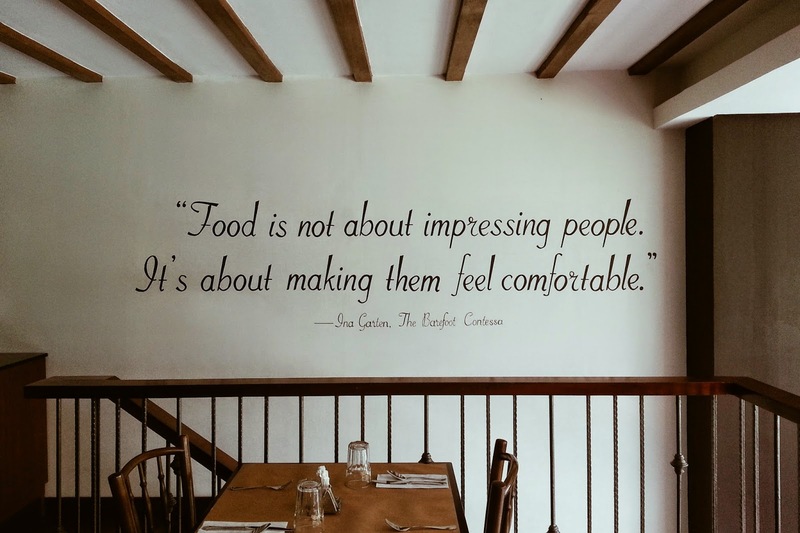 The wall by the staircase has been painted with this quote by Ina Garten of the famous American cooking show, The Barefoot Contessa, which by the way, has always been one of my favorite programs in The Food Network. 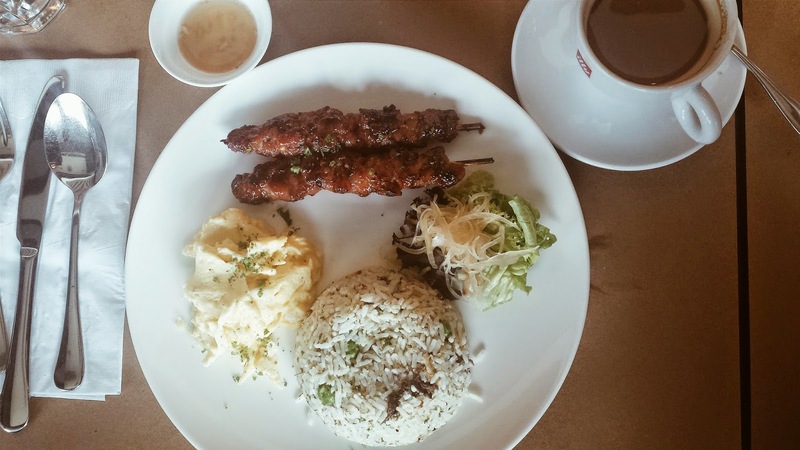 AK Bistro has now expanded their menu to include an array of breakfast meals* to help perk up your mornings, which are available from 7:00 AM to 10:30 AM, Tuesday thru Sunday. Never got to sample both Cy and Pabs' food (too busy wolfing down my Gravlax haha) but both looked delicious. That sunny side up egg on top of Cy's rice was perfect. Caught a whiff of the tinapa rice from Pabs' plate and it just smelled heavenly. The word gravlax apparently came from a Scandinavian term that meant something along the lines of fermented salmon. So there. You learn something new everything, eh? My favorite thing on the plate would be the mustard dill sauce. I could dip anything in that and it would taste a hundred times better. Yum. And finally, for dessert (yes, you could have dessert after breakfast), we tried Angel's Kitchen's Rustic Apple Pie. It held last year's #1 spot for Top Apple Pies in Manila (it's #3 this year), so I thought it was worth a shot. I thought it tasted okay. Generous chunks of apple, cinnamon taste, butterscotch sauce. I especially liked that it's coated with a combination of sugar and cinnamon as well as the pecan nuts. It added a delightful texture to this classic. 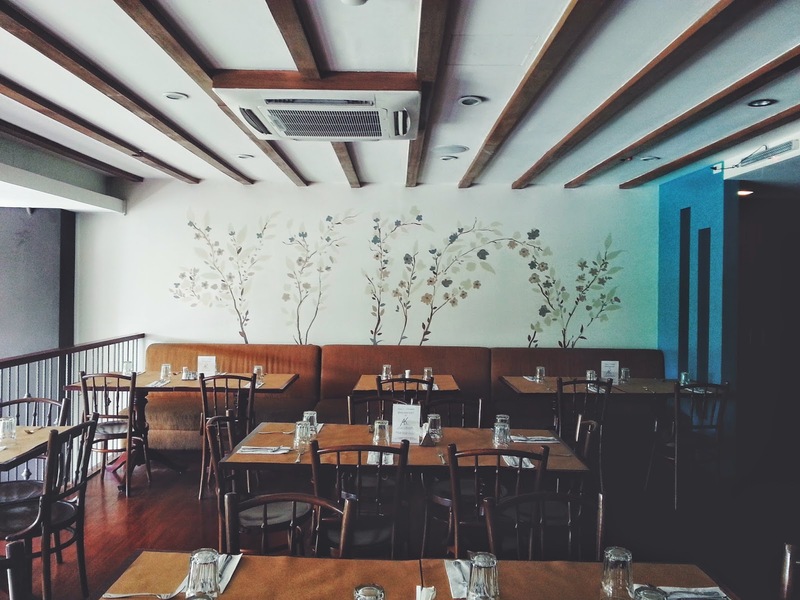 As Marnie Ong (of AK Bistro/Angels' Kitchen management) said in this article about AK Bistro, “Yes, we wanted it to be very modern but we wanted it to be comfortable as well. 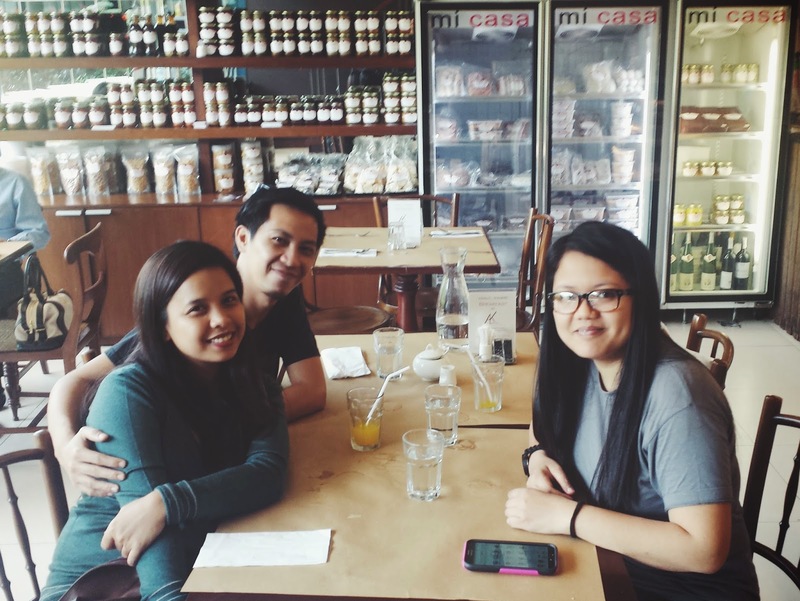 Our aim here is to make the diners feel like they're being entertained at home -- just like in Angel's Kitchen,” and yes, they truly delivered. 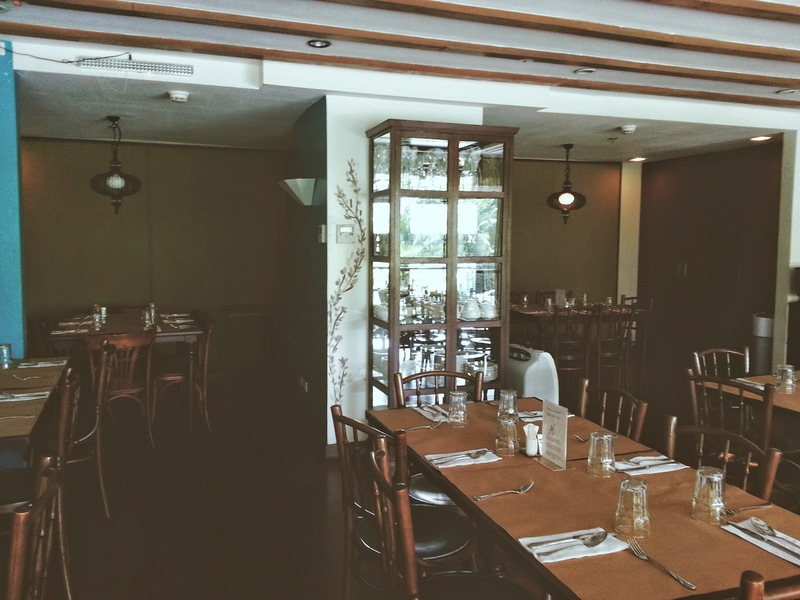 Though AK Bistro is not the first that comes to mind when thinking of a place to go to for a refined, sophisticated dining experience, the food was sincere and dining here gave a sense of home and familiarity. Happy campers. Thank you, Pepper.ph!